Last year, Corsair gave us a sneak peak at their latest Obsidian case, the Obsidian 500D; originally slated to be released in October, was delayed as they wanted to perfect it. Recently, at CES 2018, they showed off two versions of the 500D. One with a Tempered Glass front panel, and one with a brushed aluminum panel. They sent us an early engineering sample to take a close look at the newly designed Premium Mid-Tower Obsidian 500D. 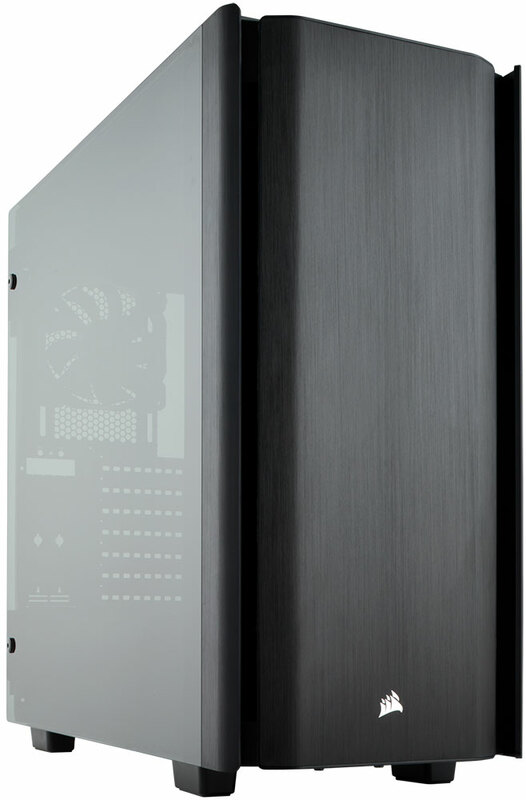 The Obsidian 500D features dual Tempered Glass side panels that swing open, brushed aluminum front and top panels, vertical graphics card compatibility and other features. 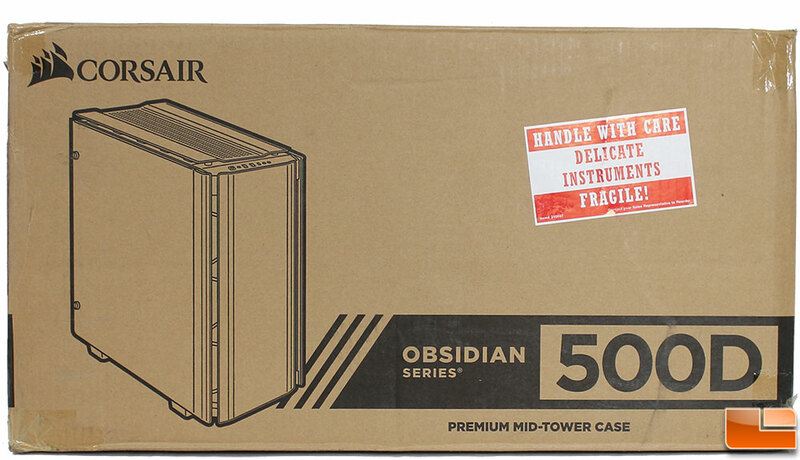 Corsair is finally lifting the embargo and launching the Obsidian 500D today, February 22nd, 2018 for $149.99 shipped. This is the first new Obsidian series case in four years! 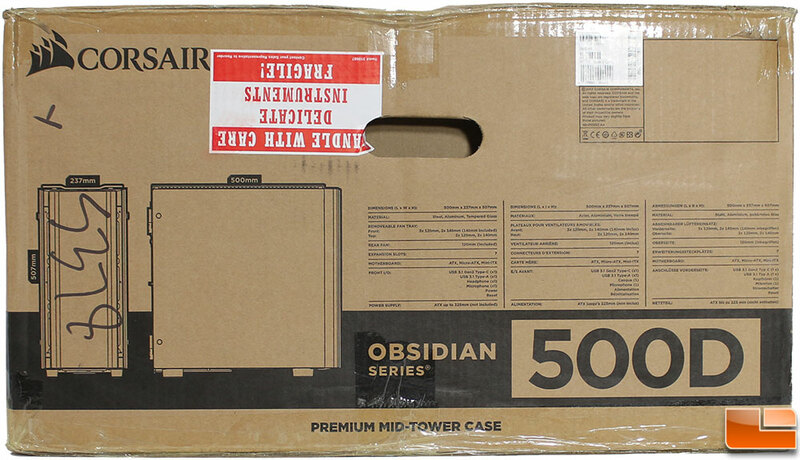 Like most cases, Corsair packs the Obsidian 500D in a plain cardboard box. The exterior of the box provides enough detail that if you were to find it in a retail setting, you would have no question what the case features. The one difference is that Corsair has packaged it more like a desktop rather than a mid-tower case. Opening the box, we find the 500D packaged in a fairly standard manner. 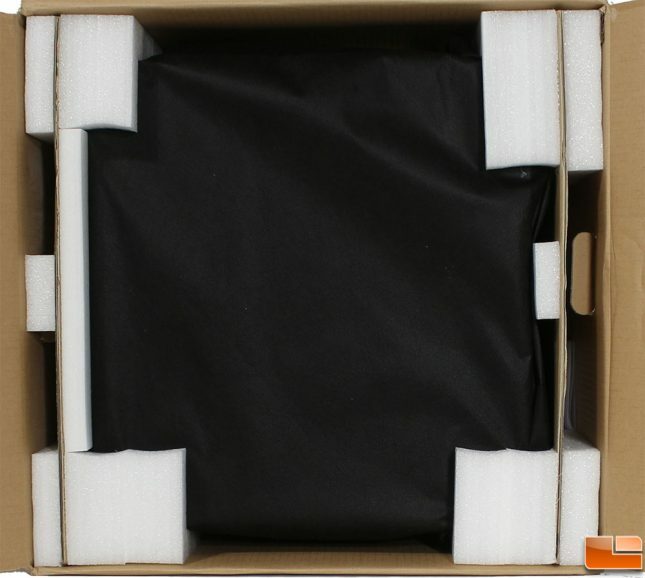 There are two large foam blocks on two sides of the case, which is more than sufficient to protect it during shipment. The case itself is wrapped in a soft cloth bag, which further helps to protect the case. Corsair has included an extensive accessory pack with the Obsidian 500D. Cable ties include six normal and two Corsair branded hook and loop straps. For screws Corsair has included eight long fan screws, motherboard screws, twelve standard fan screws, eight SSD screws, eight 3.5″ hard drive screws with rubber anti-vibration mounts. Two additional motherboard standoffs and a user guide is also included. 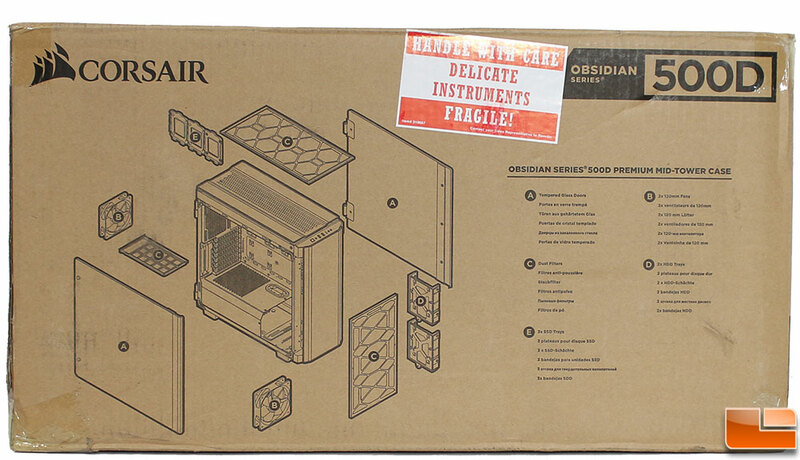 Let’s finish unpacking the Obsidian 500D and take a look around the case.